Two days of Big East Tournament action are already in the books with two more days of marquee match-ups still come. The most likely outcome will ultimately be a third showdown between Villanova and Xavier, with championship hardware as well as potential #1 seed placements on the line. Here are several key takeaways from Thursday’s quarterfinals from Madison Square Garden. St. John’s spoiler attempt fell short. It’s always a lot to ask from a team to win four games in four days, but Chris Mullin‘s group assumed the role of Cinderella in this tournament after a late season push coupled with a healthy home crowd. Nonetheless, a 12:00 pm ET tip time just 15 hours after knocking off Georgetown did the Red Storm no favors, particularly with only six, maybe seven, true rotation players on the roster. With three seasons at the helm now characterized by a failure to eclipse even a .500 record, questions about Mullin’s tenure will continue to loom — particularly since this was the year many observers expected St. John’s to turn the corner. Providence locks up an NCAA Tournament bid. 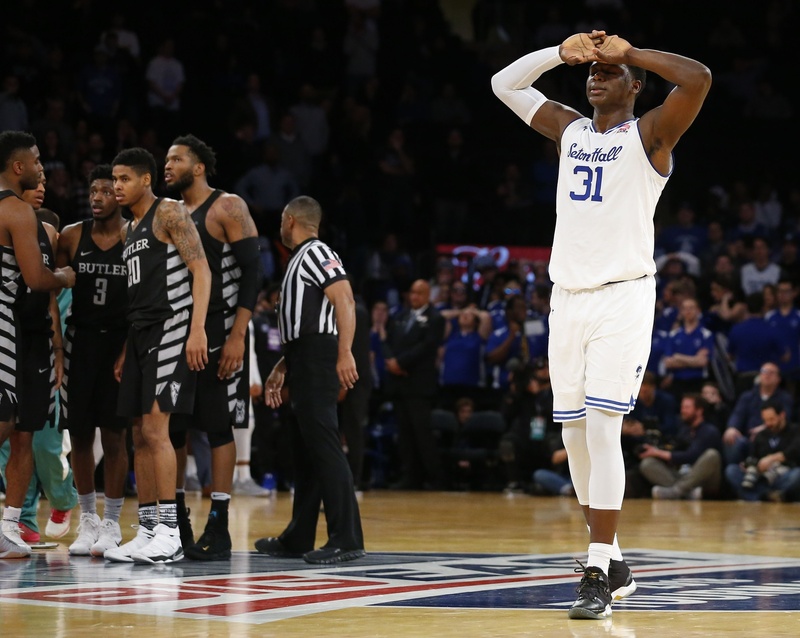 It wasn’t a must-win game for the Friars, per se, but their win over Creighton in overtime last night tips the scale and sets them up for a great opportunity to improve their seeding. Notably, Ed Cooley went small against the Bluejays, opting to slot 6’8″ Rodney Bullock into the center position to more effectively space the floor with his shooting and slashing abilities. The likes of Alpha Diallo (19 points) and Kyron Cartwright (13 points) were then able to attack the basket and draw fouls or generate offensive rebounding opportunities. Sixteen Providence offensive rebounds helped offset a 5-of-22 three-point shooting performance and kept Creighton out of transition. Conference play in the Big East is a mere week away, which means most teams are quietly wrapping up the non-conference portion of their schedules and looking ahead to the good stuff. Currently ranked third by KenPom’s adjusted efficiency metrics, the conference as a whole has fared in line with expectations thus far. 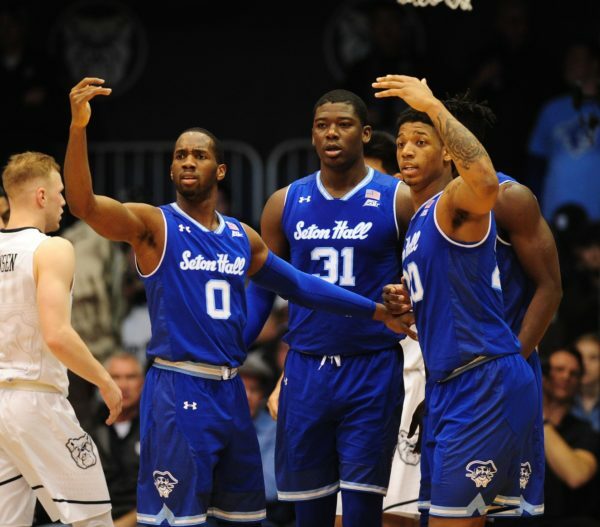 But not every team in the Big East can proclaim a strong start; there has certainly been a reshuffling of the pecking order in the middle of the standings. Here is a recap of several key conference takeaways from over the last few weeks. Villanova has looked every bit the part of a national title contender. 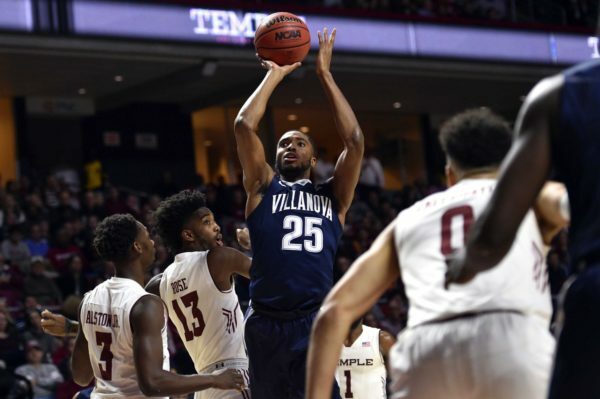 Not only have juniors Mikal Bridges and Jalen Brunson made a case for being the best one-two combination in college basketball this season, but redshirt freshman Omari Spellman has erased any doubts over about a long adjustment period after his 27-point, eight-rebound outburst against Temple last week. Any of the Wildcats’ six rotation players are capable of scoring in double figures and Wright has gotten encouraging play from of his trio of freshmen. An entire essay could be written about the many things that Villanova does well. If there any areas for future improvement, it would have to be focused on the team’s inside scoring — the Wildcats rank 132nd nationally in shots taken at the rim and 90th in field goal percentage there. Providence has underwhelmed so far, but full judgment isn’t yet justified. The Friars’ 8-3 record is a bit deceiving in that it includes marginal two-possession or fewer wins over Rider, Brown and Stony Brook. Those close victories are largely because Providence’s offense has struggled mightily over the team’s last four games, posting a mere 0.92 points per possession after a 1.17 PPP mark to start the season. A major contributing factor to that decline has been injuries to three key rotation players: Kyron Cartwright, Alpha Diallo, and Maliek White. The lingering injury to Cartwright is particularly damaging on the offensive end as he serves as the primarily facilitator and secondary scoring option. Meanwhile, the injured Diallo provides a great degree of defensive versatility while having come into his own as a tertiary scoring option (11.4 PPG more than doubles his scoring from last season). These injuries coupled with a season-ending injury to presumptive starting forward Emmitt Holt have been noticeable setbacks for Ed Cooley’s squad.